Times: 10am – 6.00pm each day. Interpersonal dynamics flow from your relationship with yourself and so Metatronic shadow work is invaluable. Paul Newman said he felt like an impostor in his profession. What he was expressing was the human condition: we all feel undeserving, inadequate. Most people, however unconsciously, live in fear of being ‘found out’ for the failures that they perceive and judge in themselves. Feeling like impostors, we suppress most of what we are in favour of the persona that we erect and project in order to feel safe, and then spend the greater part of our life force unconsciously hiding our truth from ourselves and others in order to keep that persona inn place: this is like forcing down the lid on a box which not only contains things that rot in the dark (translate that to pain and dis-ease) but also holds every kind of gift and talent and creative quality that you have not yet owned or even spotted. Metatronic work enables you to find the parts of yourself that have hidden themselves away because they feel judged, and to clear them. This makes space for many hidden parts of yourself to emerge in all their beautiful clarity and potency. The clearer we become, the greater the inner and outer harmony in our lives: relationships, health and life purpose flow smoothly into place. Shadow work clears the imprint of your deepest and most concealed wounds to reveal their hidden blessings – and it enables you to embrace your unseen light. The family is the microcosm of the macrocosm; it’s the practice ground for life; it’s the place where we focus our deepest resentments and our greatest loves. Moreover, our bloodlines hold the legacy of our DNA: the beliefs and experiences of our ancestors are handed down to us, wholesale, through our genetic inheritance – families and whole countries pass down our talents and strengths, of course; and also our weaknesses, our conflicts, our resentments and our griefs, along with hosts of physical vulnerabilities. All of these lie hidden away in our genes, calling the shots about our health, our sense of direction and purpose, our deepest beliefs about ourselves – until we come to see that they can all be changed. Metatronic Family Tree work brings about ancestral healing as well as the purification of the bloodline for the future; and Metatronic Family Dynamics work offers powerful emotional healing within the existing family, resolving long-standing karmic issues between partners and spouses, parents and children, siblings – and by extension, our friends and our associates at work. The message from Metatron which seeded the system, many years before it was actually ‘birthed’, told us that the past could be changed. This is just as well, because our karmic issues keep our stories in place, holding us hostage, so a core aspect of Metatronic work has to do with karmic clearance: the less of your own karmic story that remains in your system, the deeper the place in consciousness from which your responses and decisions arise. This in turn brings you into greater stillness, presence and power. 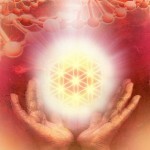 The workshop is designed to bring an enhanced level of clearance to all these aspects of your energy system. The combination of the intensive energy which takes you deep into self-awareness and clarity, along with the opportunity for sharing your process deeply and safely with trusted Metatronic students, makes this course a key phase in your Metatronic journey. 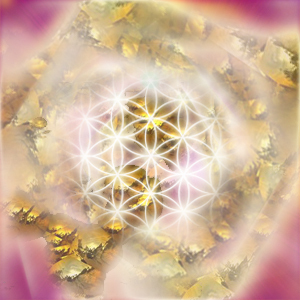 This course is available to all who have successfully completed the Golden Alchemy (Intermediate) Course, and completion of the Ancestral Songlines course is a pre-requisite for attendance on the Advanced: Crystal Radiance – Course.